Hallmark Channel continues its June Weddings weekend with the second original film this month. 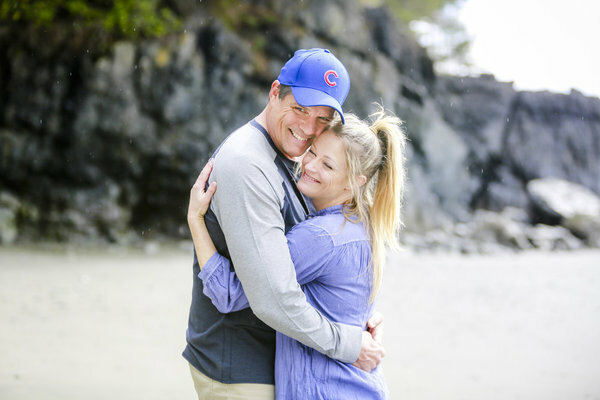 Love, Again stars Hallmark veteran Teri Polo (The Fosters) and One Tree Hill‘s Paul Johansson as parents of young bride-to-be who just so happen to be on the outs in their own marriage. 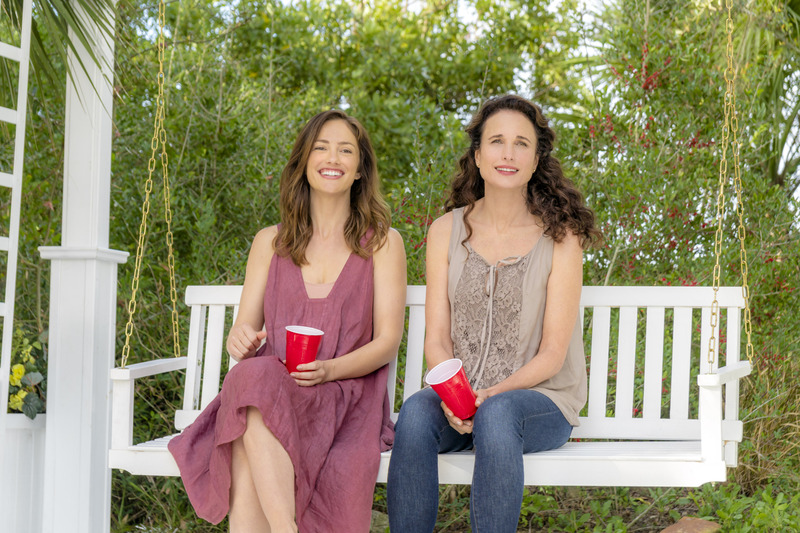 Here’s the formal logline: A couple headed for divorce agrees to hide their separation from their daughter when she announces her engagement. 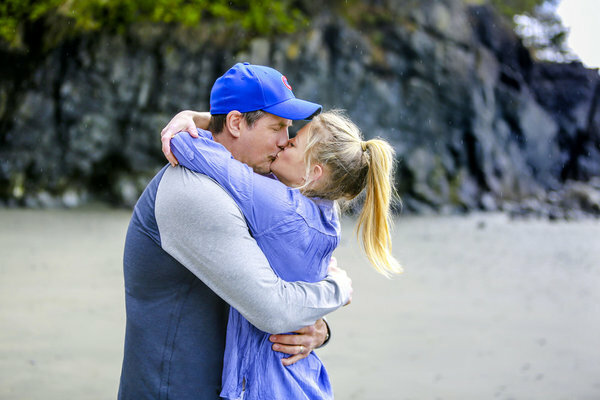 As the family travels to a gorgeously scenic vacation resort in Maine to plan the nuptials, the couple fakes their perfectly happy marriage, until they are surprised to find their love story might just deserve one last chance. 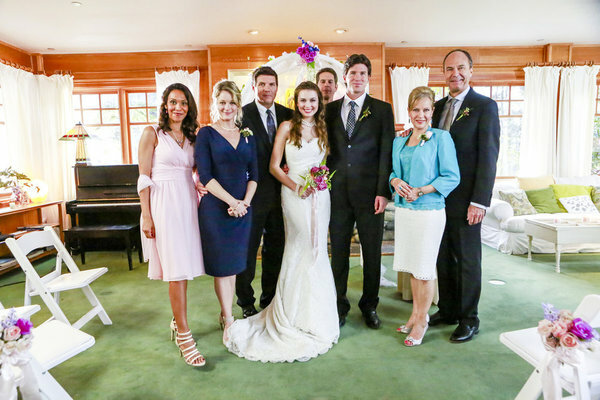 The film was written by Tracy Rosen (who wrote one of my favorites for the network, Daniel’s Daughter) and directed by Hallmark Channel mainstay Michael M. Scott. 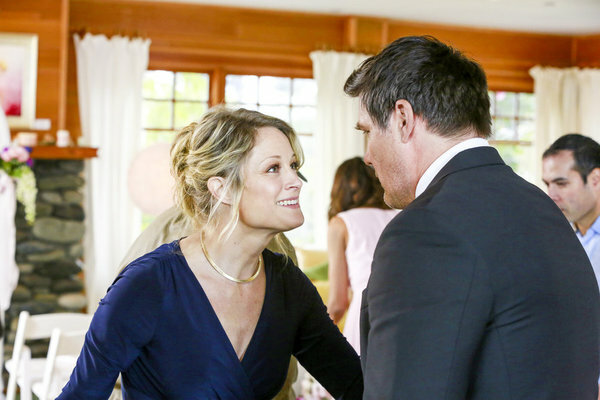 Love, Again premieres Sunday at 9/8c on Hallmark Channel. Here’s a sneak peek. 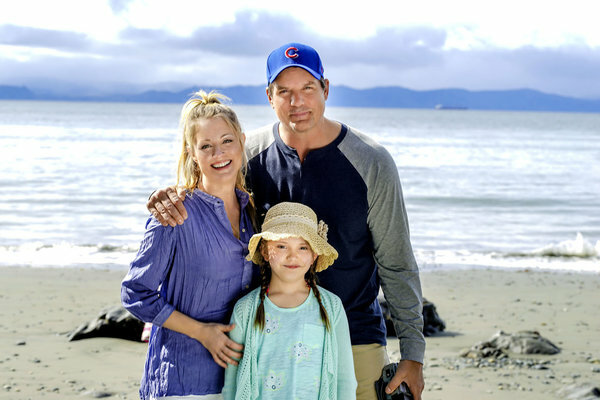 If you missed the first film, Perfect Match, which premiered tonight, it airs again Sunday at 3 pm/2c. Where was the movie filmed and the name of the lodge the couple got married in? Hi Julie. I do not know the name of the lodge but the film was shot in Victoria, British Columbia.